Sweden’s Ambassador to Rwanda, Jenny Ohlsson and Tito Rutaremara. Rwanda has been dubbed the “Switzerland of Africa” but, judging from an interview in Sunday’s broadcast of KTRadio’s ‘Rwanda Beyond The Headlines’, Sweden may be a better comparison, certainly when it comes to the dominant politics of the country. The interview explored similarities between the Rwanda Patriotic Front (RPF) Inkotanyi – Rwanda’s ruling party, or to be more precise, the biggest and most dominant of Rwanda’s governing parties. 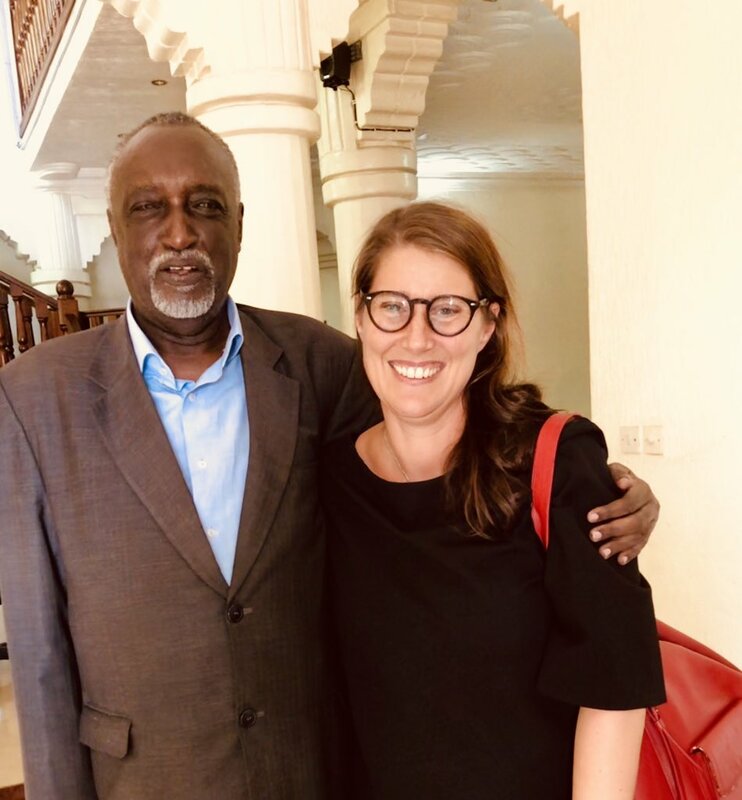 Presenter Vincent Gasana, was joined by Sweden’s Ambassador to Rwanda, Jenny Ohlsson, and Tito Rutaremara, one of the leading lights of the RPF. The Social Democrats failed to win an overall majority in the last election, and they have now managed to form a government, only after months of negotiation with other left of centre Parliamentary parties, led by incumbent Prime minister Stefan Lofven, who stays on. “Reading Prime minister Lofven’s speech” suggested Gasana, “if you substituted Rwanda for Sweden, it could easily have been an RPF speech”. The presenter meant the progressive policies in health, education, the environment, and what the RPF calls being “people centred”. The Swedish Social Democratic party was founded in 1889, as the Social Democratic Worker’s Party, over a hundred years before the founding of the RPF. As with most progressive parties, both parties were born as movements, to become political parties. Modern Sweden has been shaped by the Social Democrats, which have governed the country for seventy of the 129 years the party has been in existence. Although no longer as dominant as it once was, it is still Sweden’s biggest party. If Sweden has been shaped by the Social Democrats, Rwanda has been even more so by the RPF, and given the party’s emphasis on constant renewal, it will be many years before they have to depend on other parties to govern. The Welfare State is a belief system shared by both parties. Sweden’s social welfare is of course famed throughout the world, and is the envy of many. Rwanda lacks Sweden’s resources, and advanced development, and cannot hope to match its social policy. But, even with its meagre resources, the RPF’s achievements in this area, especially in health and education, in Rwanda, are arguably as great as those of the Social Democrats in Sweden, it might be argued, even more so, if one considers where the RPF started, and the length of time it has had to effect what is clear national transformation. Explaining the similarities, Senator Rutaremara pointed to the open secret that in search for ideas for national reconstruction, especially after the devastation of the 1994 genocide against Tutsi, the RPF looked at most of the world’s progressive parties and movements, including Sweden’s Social Democratic Party. The Switzerland of Africa, or Sweden in the sun, you take your pick. Rwanda Beyond Headlines can be heard on KTRadio 96.7fm, 8pm Kigali time. It can also be found on podcast. And you can contact the programme on twitter, @BTH_Rwanda.